Steve Bug has been a driving force in the German house and techno for more than a quarter of a century now. With his solo releases, numerous collaborations and as the founder of the Poker Flat label, Stefan Brügesch became one of the most important voices in the minimal era but never stuck to one style alone. His recent work put a heavy emphasis and further diversified his sound palette. 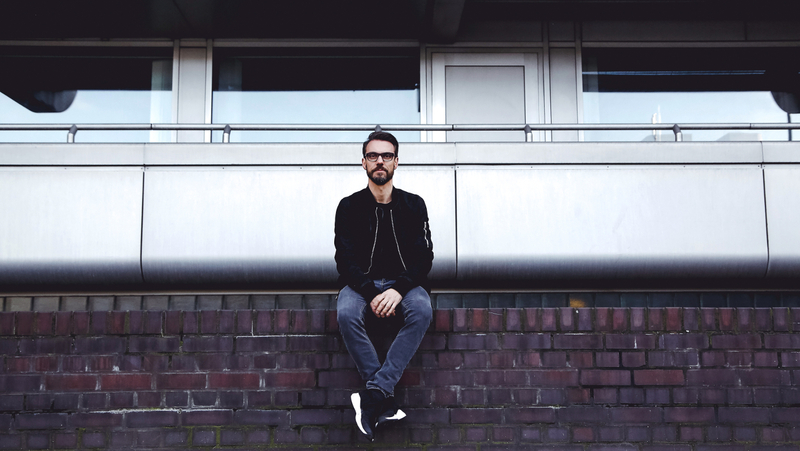 Steve Bug’s contribution to our Groove podcast puts a focus on warm tunes for grey winter days, highlighting music that so far has flown under the radar. As a producer, you have always sought the collaboration with others, recording the album Paradise Sold together with Langenberg in 2018. Why is working collaboratively so important to you and what was working on the LP like? Being in the studio with others is just great fun and more of a jamming session. I like how different personalities and musical preferences help to create something you couldn’t have come up with by yourself. Working with Langenberg felt very natural, and our styles easily matched. All the tracks came to life very fast and we never really had to argue about anything major. It was easy to make choices and let go of ideas that lead to dead ends. I hope we will soon get back in the studio together. Your last single for Ornaments was called “Different In Detroit”, “A Touch of Detroit” was the title of a track on Paradise Sold. What fascinates you about the city – and how do you try to translate that into music while you’re in the studio? The first time I went to Detroit, downtown was rather dead at night. Parties were held in empty places, and it reminded me a lot of Berlin right after the wall came down. I’ve loved the sound of Detroit since its origin, and even though it has a pretty wide spectrum, there is something special to it. Over the years Detroit City has had kind of a comeback, and it is still rising. It’s great to see this once popping city coming back to life, and the techno scene being one of the reasons for that. Usually when I work on music, I don’t try to think about what I am doing, or why I am doing something a certain way. I just keep playing around until I come up with something that I feel is worth finishing. With these two tracks you mentioned I felt a strong connection to some of my favorite deep tech chord tracks from Detroit. They have this certain vibe. In August, you have spoken out on Twitter against bookers and labels putting too much emphasis on numbers. But don’t clubs and labels also have to make economical decisions? I said “anyone in the business making decisions based on numbers, is probably not contributing anything to the scene in the long run.” I’ve already clarified that I should have said “based on numbers ONLY” to make my point clearer. But the funny thing is that only club owners or promoters seem to not get the point. They were saying things like “how is a club supposed to survive if they don’t look at the numbers?” Well, first of all, I never said don’t look at the numbers at all, and secondly I meant everybody in the scene. Everybody has to look at numbers at some point, DJs, labels, clubs, promoters, booking agents, distributers, etc., but there are so many more aspects to take into consideration if you want to be in the game for longer and if you want to contribute to the culture instead of just milking the system. Let’s just start with the club/promoter thing. If you’re a promoter at the beginning of 2019, you are probably trying to find out whom to book this year, and you start going through your 2018 bookings to check in which nights you made the most profit and in which nights you maybe even lost some money. Based on these numbers you start to book acts for the next twelve months. However, you might have forgotten that on certain nights there were obstacles that had nothing to with the booking, maybe there was a huge festival just outside the city that night and everybody went there instead. You attribute it to the DJ/act because you are only looking at the numbers. Same could happen because of weather conditions – first sunny day in spring , heavy rainfall, and so on. Looking at numbers only means missing out external factors, you also you forgot to take the quality of the performance into consideration. How did the crowd that showed up react, how long did they stay, how was the feedback afterwards and so on. These things matter. On top of that, there are different type of numbers clubs/promoters look at, like the artist’s Instagram followers, Facebook likes, the position in the annual DJ polls, the sales on Beatport, etc. But if you look at these numbers you’ll probably end up with the same typically safe bookings that everybody else books because they want to be safe and are all looking at the same things. That’s rather boring, and wouldn’t really give you a unique selling point. There are a lot of great examples of clubs/events that built a strong audience with a concept: that might be a certain sound, a style of decoration, parties in special locations or whatever… A lot of them didn’t need big headliners to grow a following, they created something unique and stuck to what they loved. The same applies to Djs, managers, producers, agents, etc. As a label owner I can say, that if we would refrain from working with an artist just because they did not break even or did not sell as much as the others artists, we could never develop any young talent. You have to find a balance, and you have to take risks. If you’re always doing things on the safe side, you are not evolving. Your own label Poker Flat will celebrate its 20th anniversary this year. How do you celebrate that and what, in your opinion, is the essence of Poker Flat in 2019? For the 20th anniversary we are planning a few very special remixes and some more stuff I can’t tell you about yet. Sound-wise we are definitely more open than we used to be: we grew with our artist roster and everything we have experienced in the past 20 years. Looking at the many great demos we have received over the past few years, I’d say we are at an exciting point. I’d say we are at another musical peak. It is always difficult to do a mix, since you only have a certain amount of time to tell a story and you want to cover various genres, so it’s always a challenge. I have to say, I really enjoyed doing this one. Things fell into place and I like the overall vibe that suits the grey winter over here. For this I decided to go for smaller labels and mostly not so well-known artists and tracks as I feel that they fall too short in the world of house and techno these days. Last but not least: Where can we see you behind the decks in the near future and what are your plans as a producer? Production-wise, I’ve been working on some tracks with Tim Engelhardt, for which we are shopping for labels at the moment. Also did an EP with youANDme, to which we are adding another tune at the moment. I also have two solo releases coming up. And hopefully I’ll be back in the lab with Mr. Langenberg soon. Other projects are cooking which I can’t speak about right now. This week I’ll be playing in Barcelona and Mallorca, next week in Amman and Dubai, after that I’m off to ski in Austria till the end of the month. Next month I will be touring Europe including Gigs at Panorama Bar, Hive Club in Zurich, Gewölbe in Cologne and Elektro Klub in Katowice. In March I’ll be in Japan.